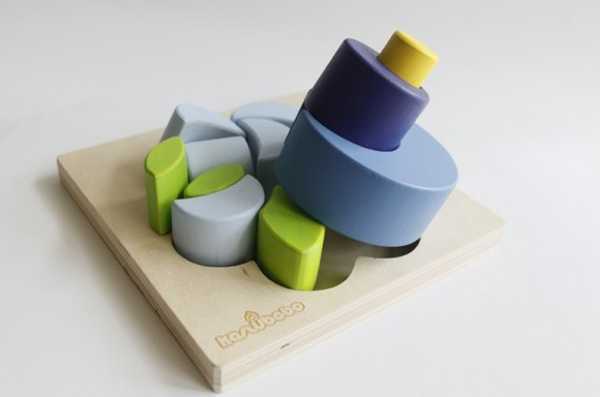 These deceptively simple toys are beautiful, all-natural and are more than just puzzles. 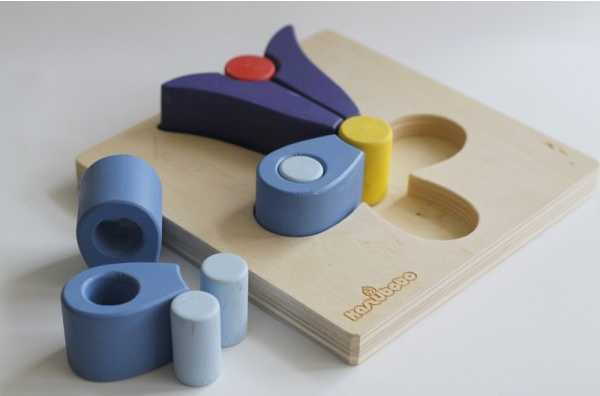 The Kaszubebe puzzles are, undoubtedly, really stunning. Rounded petals of tulips and flowers, in muted colours, placed together to form abstract flora. But what I really adore is what they can become with a little imagination – and children have this in spades! 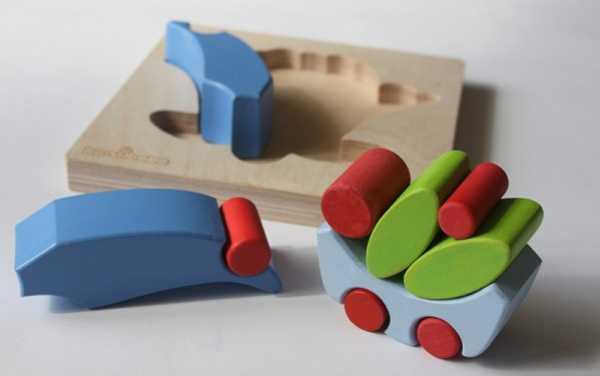 By placing the pieces in different ways they can be used as building blocks. So once placing the pieces back into their homes on the wooden block is mastered, kids can begin constructing their own masterpieces. 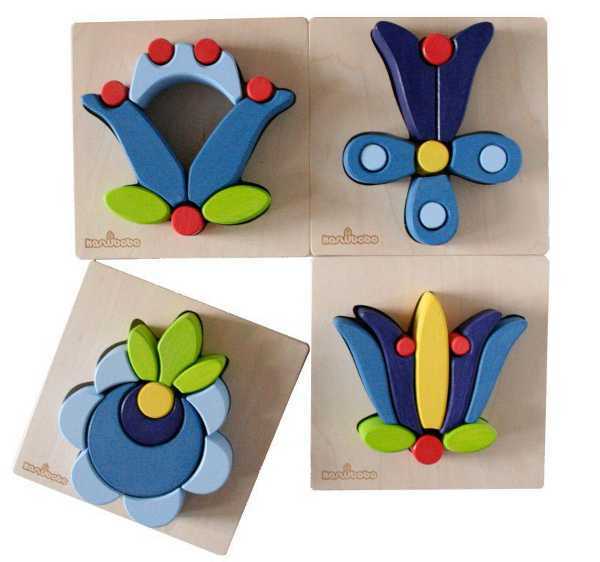 The puzzles are based on Polish folk patterns and can be purchased locally from Coccinella for $26.95.